« The End of Cosmology? This entry was posted on February 22, 2013 at 2:09 pm and is filed under Science Politics, The Universe and Stuff with tags Gold Open Access, Open Access, STFC, UKIRT. You can follow any responses to this entry through the RSS 2.0 feed. You can leave a response, or trackback from your own site. What does UKIDSS stand for in your graphic? Grumble, moan, whinge, etc., but the name UKIRT seems to be a hard word to say for certain people in the UK astronomy these days. It’s the UKIRT Infrared Deep Sky Survey, but you were close. As for the most recent comments, decommissioning costs come from a completely different pot of money and are up for negotiation. The UK has to pay that cost if UKIRT is decommissioned (a few million $) and it would not come from the astronomy budget as far as I’m aware. I’ll leave it there for people to speculate. The solution is clearly to consider both REF and the future APC charges. All we need is for everyone to be an author on 4 4* papers every 7 years. Optimally, these papers will have multiple authors from multiple UK universities. That way, the APC costs will be very small, and the REF income will be very large and everyone will be very happy. Has anyone else noticed that sometime during the last 2 or 3 weeks the comment boxes in WordPress blogs have stopped working in some versions of some browsers? Forgot to pay your comment processing charges? maybe its a suggestion to limit your comments, philip? I’m sure others are affected as well. In any case, I have to keep up the pace if I want to be #1 again this year while at the same time using proper capitalization (yes, British spelling but with the Oxford Z). Peter can you go quantitative re your comments? 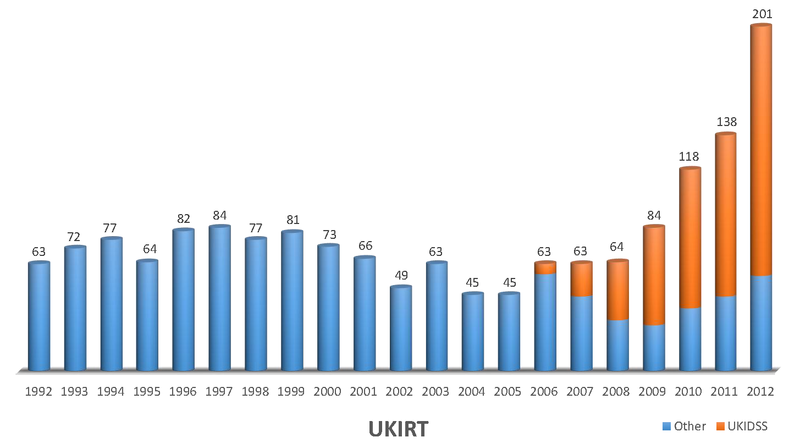 How much to pay the publishers, how much saved by closing UKIRT? Well, the post was meant to be more than a tad tongue-in-cheek and not to be taken literally (or numerically for that matter). gives a figure of about £1.2M, which is consistent with figures I’ve heard bandied about in other contexts. However there is a big fly in this particular ointment, which is that if no individual or organization comes forward to take over running UKIRT and/or JCMT they will have to be completely decommissioned, which means removing everything from the mountain and restoring the site to its natural state. I don’t know what the cost associated with that would be, but unless the liability can be shifted somewhere else, it would fall on STFC. The prospectus does not give a figure for this cost….